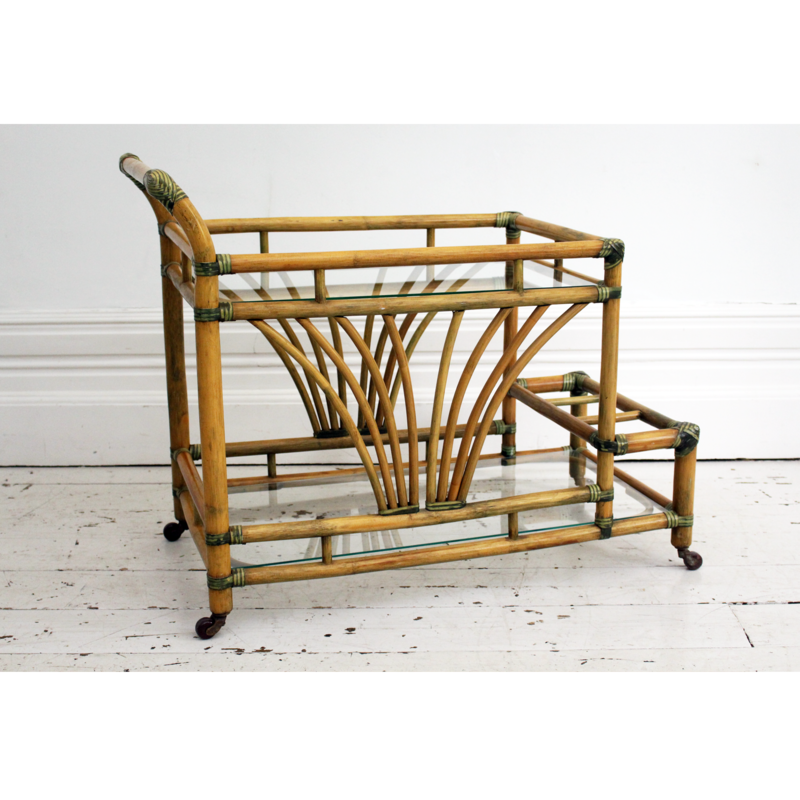 A 1970's French Riviera Bamboo & Glass Drinks Trolley Bar Cart. 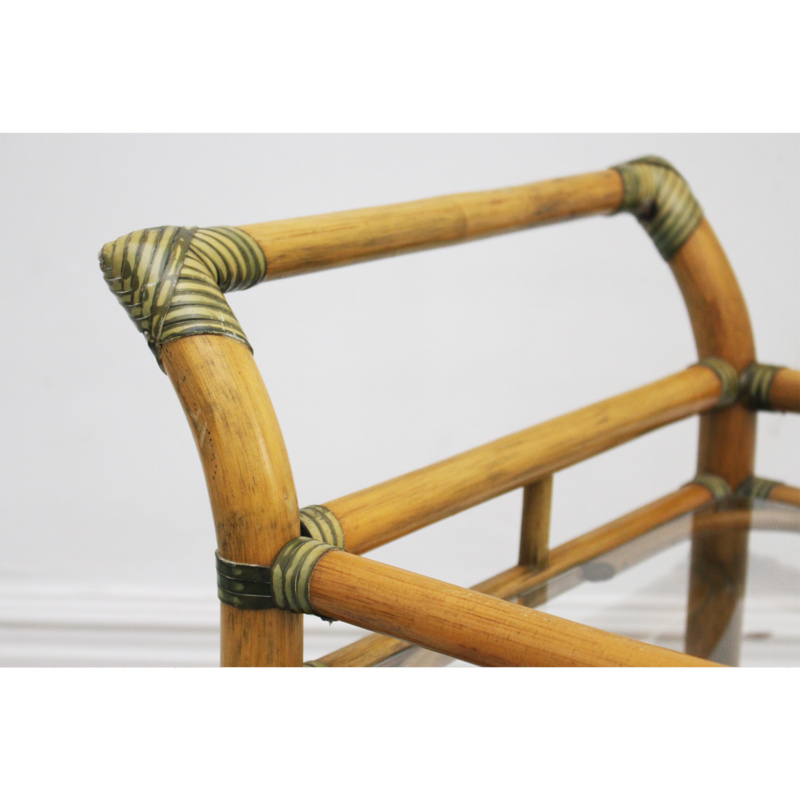 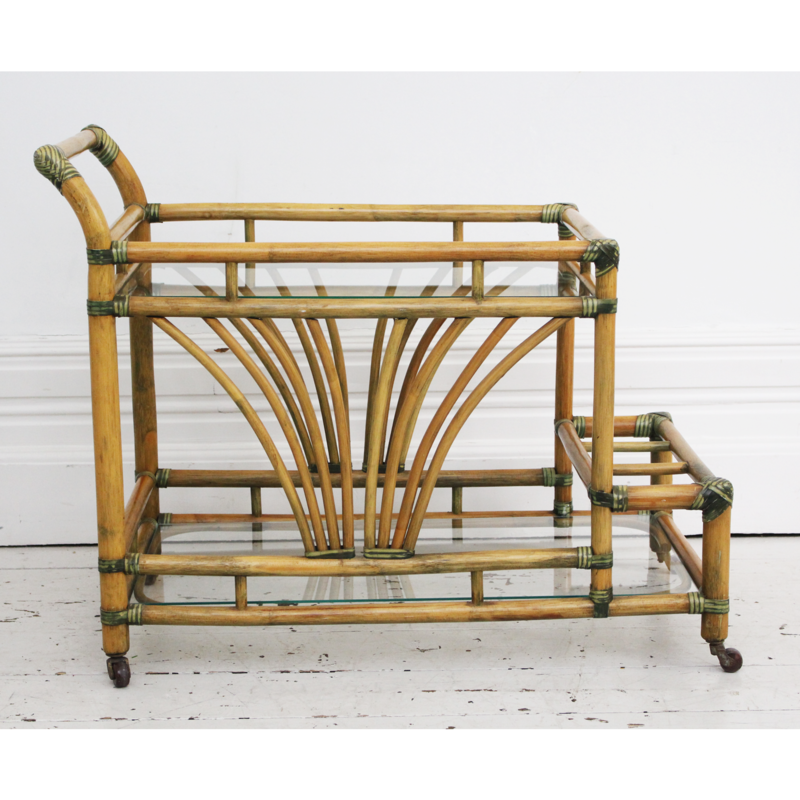 This very lovely, typically French cart is made of nicely aged bamboo with very pale green rattan detailing. 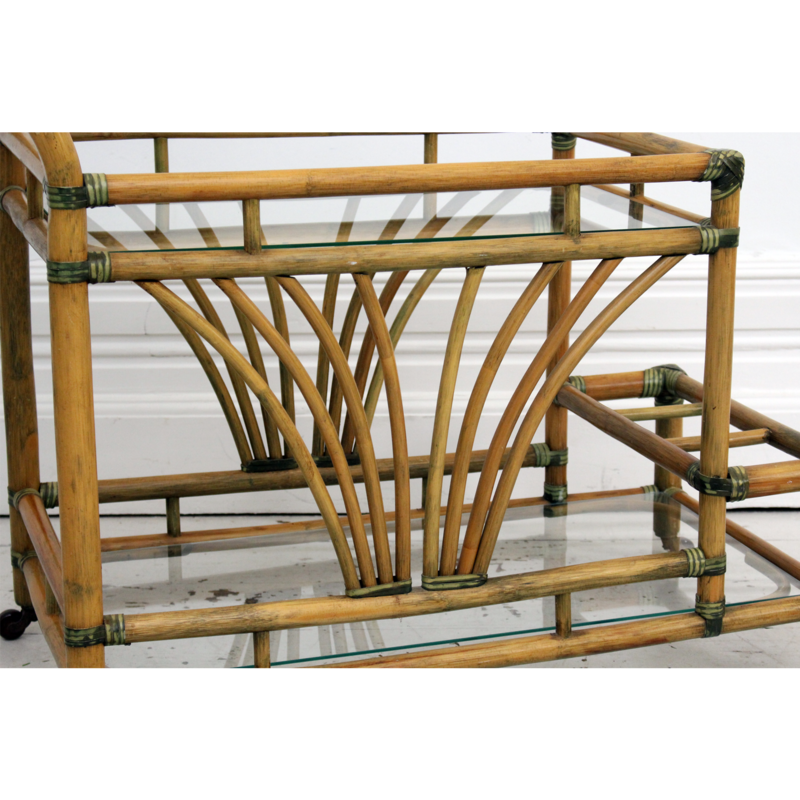 It has two clear glass shelves and is mounted on brass wheels. 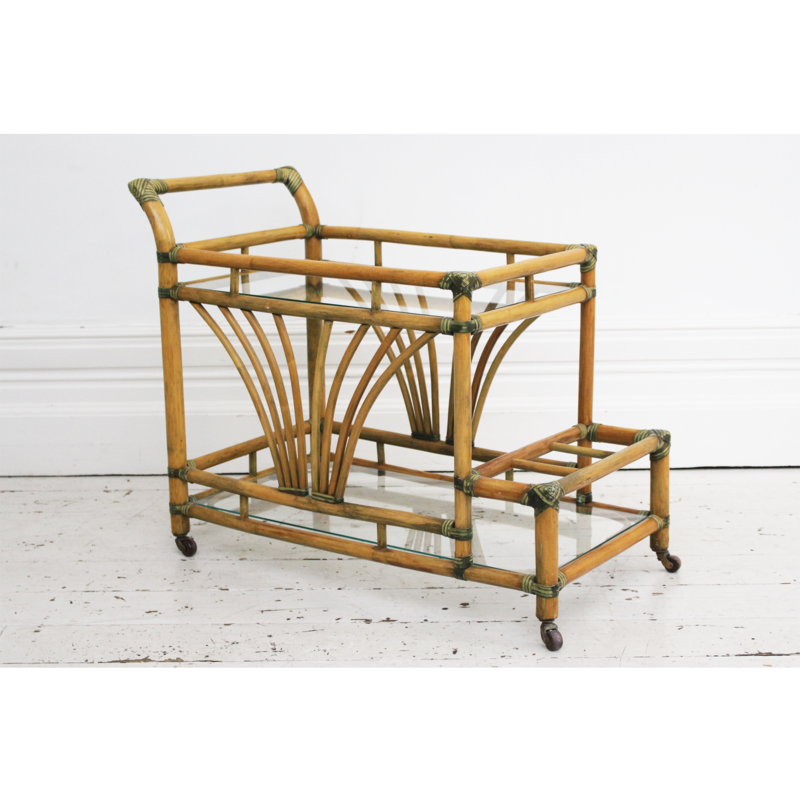 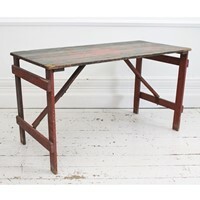 Perfect for an occasional table, lamp stand or for it's original use as a drinks trolley. 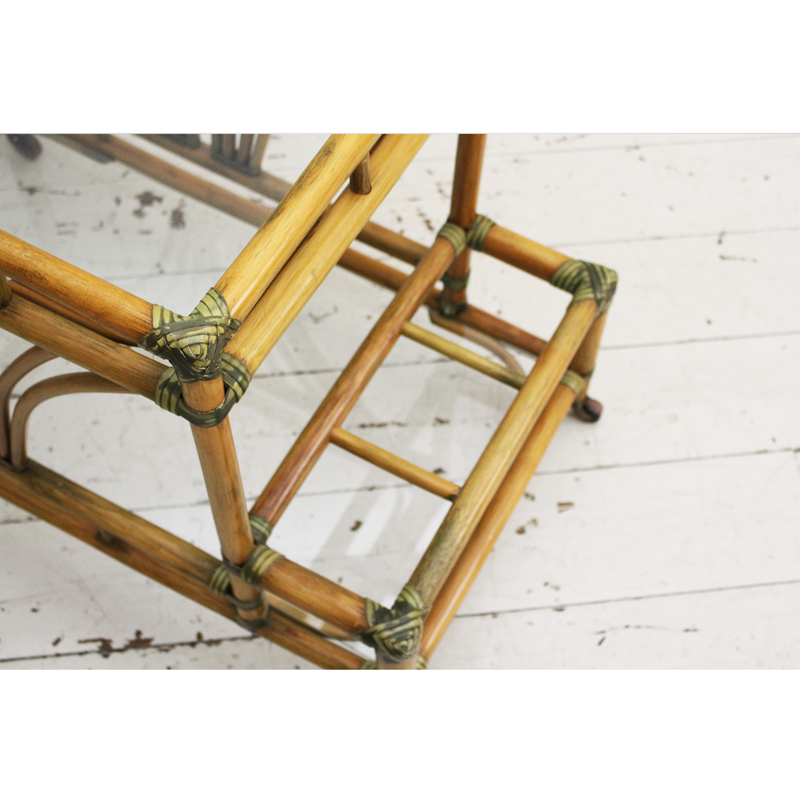 There are even 3 compartments to store bottles.